.:BashBlog:. 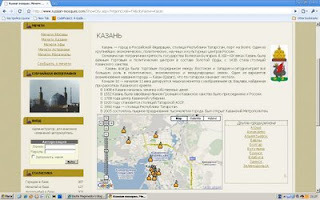 : New version of "Russian Mosques"
New version of "Russian mosques" web-site has been just released. [RM-70] - ShowCity.aspx: Postback doesn't occur when user changes current language. [RM-73] - RelatedLinks control doesn't work properly. [RM-74] - ErrorPage.aspx is not shown on error. [RM-75] - AddEditCity.aspx is broken. Fix it! [RM-81] - ForeignKeyReferenceAlreadyHasValueException occurs when editing/adding info for some cities. [RM-87] - LoginPage.aspx: Object reference not set to an instance of an object when trying to open it in new browser window. [RM-89] - AddEditMosque.aspx: City name displayed in English even if current language is Russian. [RM-76] - Increase size difference for a links cloud to clearly distinguish links in the cloud. [RM-77] - ShowMosque.aspx: Add region name and a link to current city to the top of the page. [RM-79] - Redesign the site. [RM-82] - Localize Login control. [RM-85] - Search optimization: On a citite's page add name of the city and "mosques" word to the title. [RM-86] - Fix photo uploading controls' layout. [RM-88] - AddEditCity.aspx: Fix layout of coat of arms adding control. [RM-71] - Add a link cloud to the main page. [RM-83] - Create Statistics block. [RM-84] - Create Random mosque block.